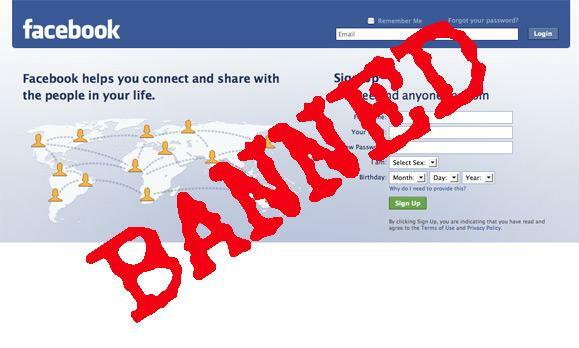 Facebook temporarily blocked links to the website of Woman’s Place UK over the weekend. The group ardently campaigns for women-only spaces. They also raise concerns about transgender people being able to self-identify as women. Facebook cited supposed user “safety” because the feminist campaign group’s website was “malicious” as the reason behind its move to block it. One dismayed user even tweeted: "Only fake news and hard Brexit is allowed on @facebook. Women's rights are bad, m'kay." The clampdown may have been triggered by a Twitter post from user @mimmymum, whose profile shows the account belongs to Helen, who says she is "passionate about acceptance for transgender people & #trans kids." The tweet included screenshots that prompted pro-transgender users to report Woman's Place UK's group to Facebook for allegedly breaching its guidelines. Helen also accused the group and their site of propagating transphobia and excluding trans women. And just like that, Facebook acted swiftly to block the site. It makes one wonder what is their process- if ever there’s one- of addressing complaints and meting out punishments against users. Is there any credible investigation to credibly address these complaints? Is questioning or asking the other party’s side even considered at all? Do all sides matter, or is it only a matter of who screams the loudest? One wonders when will this madness of Facebook end? Or without a clear system in place, where is this leading to? In this case, are transgender voices are more important than pro-women advocates? How does Facebook even draw the line between hate content and just perceived or exaggerated claims of such? The group also accused social media sites of deliberately "obstructing" and "hiding" its posts and alleged that its detractors are setting up fake profiles as part of a smear campaign against its nationwide events and public meetings. The only reason we are still seeing this crap is bc not enough dummies deleted their fakebook accts. exactly! the stinking jew who runs the place should be holocausted.